Larry Williams is one of my favourite trading gurus. I’ve attended his “Million Dollar Challenge” workshop, seen him speak on a number of other occasions and read almost every one of his books. 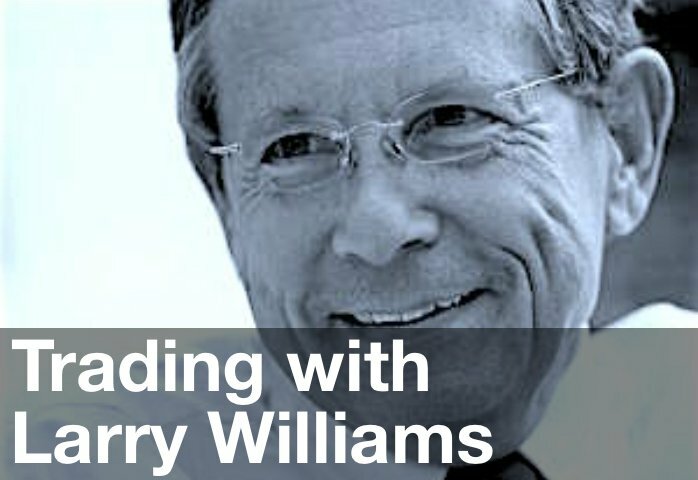 There is no question in my mind that Larry Williams is a trading genius as well as an extremely entertaining educator. Larry Williams’ books are too numerous to list here. However, I would recommend his “Long-Term Secrets to Short-Term Trading”. This book focuses on trading index and bond futures and is particularly useful for trading the Emini. A classic. Online, he appears to come in for a lot of criticism, which I feel is totally unwarranted. But that seems to be the nature of the web – so many people commenting when they’re not qualified to offer an opinion. Just my two cents. One of Larry’s more famous and well-publicised ideas is a pattern he calls Oops. The pattern occurs when the open of a daily bar is below yesterday’s low or above yesterday’s high. Trade entry is signalled when the market touches either the low to go long or the high to go short. The theory behind this pattern is that non-professionals check their charts at night and place orders for the next day’s open. Whereas professionals wait for the market trend to develop during the day and place their trades later in the day. Therefore, if the open is substantially lower or higher than the previous days trading range, this indicates the non-professionals are panicking and desperate to enter the market. Professionals will use these opportunities of extreme emotion to place trades in the opposite direction to the non-professionals. On Tuesday, the market opened below Monday’s low and then rallied during the day to close above the low. Today the rally continued and the market moved strongly up on quite high volume. On the chart above the Oops pattern is identified automatically by my charting software and a text annotation added to the chart. Remember don’t use this pattern alone, combine it with other non-correlated market indicators to identify high probability market turning points.